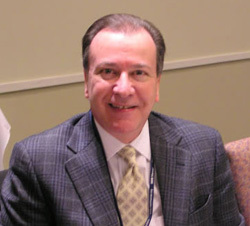 Mercer Alliance’s Executive Director, Frank Cirillo was invited to speak at the National Alliance to End Homelessness Annual conference in July 2015. His presentation, entitled “Using Rapid Rehousing for System Change” was part of the “Community Efforts to Take Rapid Re-Housing to Scale” workshop. The presentation highlighted Mercer County’s success in developing a new system for homeless families and specific strategies to bring Rapid Rehousing to scale.